Back in the 1990s when I was a little girl, we had a class teacher named Mrs Elon, name changed out of respect. I must have been about 13 years then and the most unpresentable form of myself. Yet to get introduced to the concept of waxing and threading, my dark brown skin felt, to say the least,very un-beautiful. Despite my mother’s constant reassurance, who is herself pure “milky” white, that I was tall and doing well in sports, I felt quite undesirable deep in my heart and often avoided eye contact with relatives. For fear of rejection, for fear of being told what I was most worried about – she has too much body hair, how did she become so dark, and worst of all built for a boy’s frame but born as a girl. Gosh, how much I despise going down that memory lane even today. So when Mrs Elon first walked into our classroom, I almost immediately disliked her and also equated myself to her. She was dark skinned, wore thick rimmed glasses, too tall for a women, untrimmed eyebrows, a thin line of upper lip hair and most importantly she NEVER EVER smiled. I forgot to mention, I also wore glasses and by then I was dealing with puberty complexities or rather complexes. So I decided for myself that she completely lacked beauty. 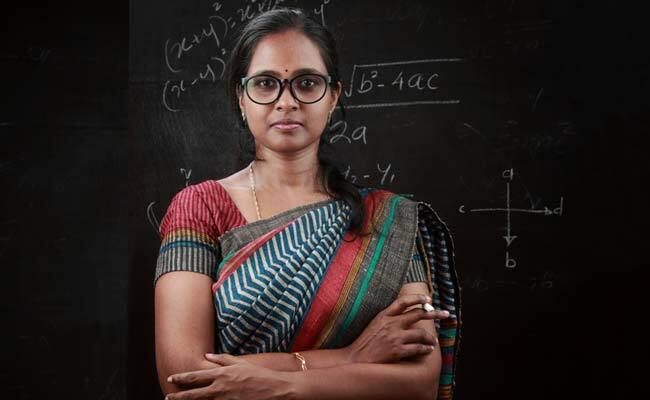 She was extremely rude while giving feedback, we all shuddered with fear in her class, she shouted, I still remember those blazing angry eyes. None of us wanted her wrath, as one mistake would make the entire class suffer. And yes, she once threw the notebook out of the classroom window. I for a change did well in her subject. So a couple of years later when board exams were approaching, I had to do the unthinkable. I was enrolled to a 2 months crash course at her private tuition. I was scared shitless! So gathering all the courage that I could, I walked into her house, which was a small yet beautiful colonial bungalow. And for a few seconds I was staring at her in astonishment. There was something different about her today. There was a SMILE on her face. She took me in to the study table, making small talk and helped me settle down, lending some rough sheets and geometrical instruments. Over the two months that I studied with her, I slowly discovered a completely new side of her.One that was very polite and caring, extremely intelligent. She worked hard in the background selecting the sharpest questions for our mock tests. Her concepts were so very clear and she seemed to have answers to almost all of our questions. The ones she didn’t, she made sure to have those ready by the next class. Slowly I found myself liking her. Her dark color or thick rimmed glasses seemed to be less and less noticeable. Neither did those untrimmed eyebrows nor other facial features.I became quite comfortable starting a conversation with her now and I could always bank on her to give me the smartest solutions. Mrs Elon became my most favorite teacher. For she was so loving and caring deep in her heart. She went to any extent to make sure her students learned what they needed to. She only wished good for her students and towards that she wore an extremely strict persona at school which further aggravated her external appearance. For how else do you manage a noisy and hyperenergetic group of 50+ kids in one classroom? I think somewhere around that time I also learnt my most important life lesson. True beauty is not about your face or skin color. True beauty in the soul and if the soul is beautiful, outer appearance seems to fade. True beauty is reflected in our CHARACTER,CONFIDENCE & CHARISMA. True beauty goes far beyond our reflection in the mirror. So I stayed beautiful in my soul, my own beauty was visible to me now. And ofcourse over the years there was Naturals Salon for the rest aka threading, waxing, hair-styling, pedicure,if one wish to. Once I had internalized these 3 true beauty traits, I knew exactly where I stood in front of the mirror. Author’s Note: This article is a part of blog campaign ‘TRUE BEAUTY’ being hosted by Naturals Salon in association with Women’sWeb. Starting off with 1 salon to over 650 salons across India, all it took was one woman’s passion to empower 300+ women to become entrepreneurs over the past 16 years. Because there is no better style statement than standing on your own feet. I believe every woman has TRUE BEAUTY within her in all the roles she plays. For over 18 years across 650 plus salons across the country, Naturals has been helping the Beautiful Indian Woman get more Beautiful. Next Learn to be happier with your life for one thing you can’t recycle is wasted time. All of us, at some point of time have made similar judgements based on skin color or other aesthetic aspects of ones personna. I am glad that you were able to see beyond that and found the real person behind that strict, unpleasant teacher.